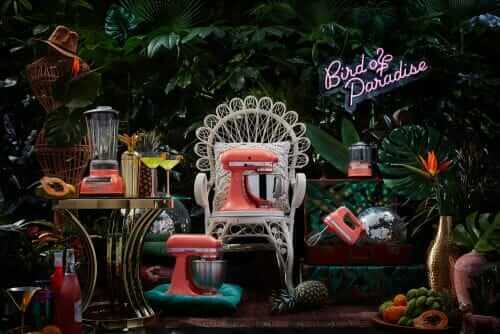 Kitchenaid mixers already come in more colors than the rainbow and now, the company is adding a new one — Bird of Paradise — a luscious lipstick coral. 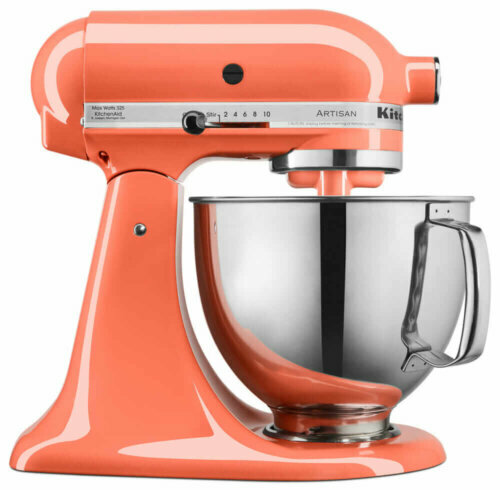 Jumping on the popular Color of the Year bandwagon, Kitchenaid’s inaugural pick is a lovely one indeed. Thanks to reader Catalina for this tip! My hallway is painted Sherwin-Williams Ravishing Coral — repeated from a little streak in the original 1951 linoleum tile. This is a terrific color. Personally, I’m way into coral + chartreuse + teal with dashes of black and ruby. Think: Tropical barkcloth from the 1940s. For full-on retro, I suggest: Coral complemented with chartreuse, teal, black and a wee hint of ruby red. The color will be available on five countertop appliances, all shown in this story. That color is just plain luscious! My beloved KA is Almond. I have had it since the early 80’s and it is a beast! One of the best made kitchen appliances, bar none! Another option is to just refurbish a really good old mixer. Rick Margle refurbished my 1958 Dormeyer – which included sandblasting & powder-coating it “seafoam pearl”. It’ll probably last another 60 years now. The following video shows most of the process for refurbishing an old mixer, you can see the final results around minute 42. Ken, you are so right. My little brother owns a bodyshop and refurbished my grandmother’s 1940’s Kitchenaid. It still worked perfectly fine, he just wanted a new paint job on it. 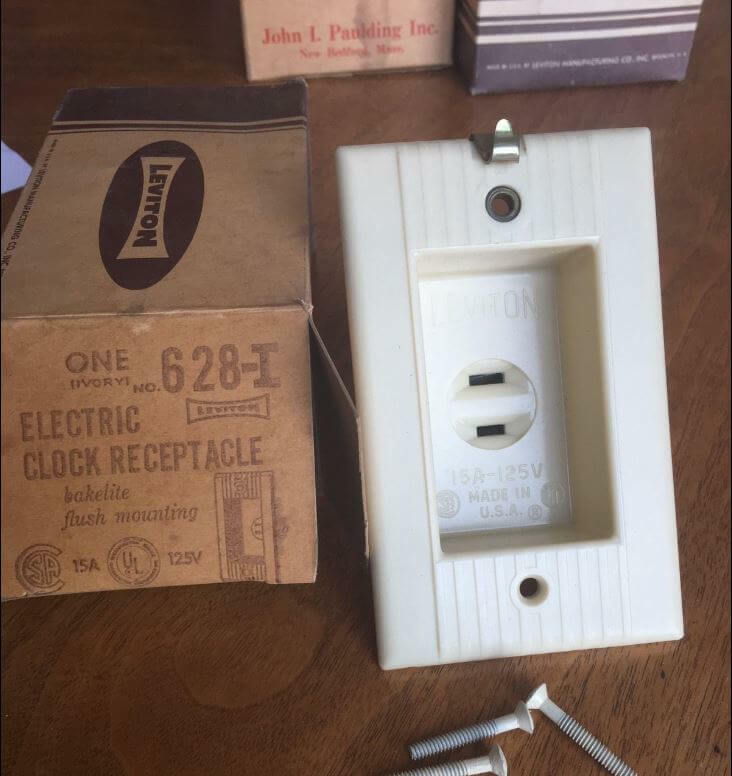 I have a 50’s model that needs cosmetic attention only. These old machines are worth keeping. Beautiful color! Too bad I recently completed my collection of RED countertop appliances. 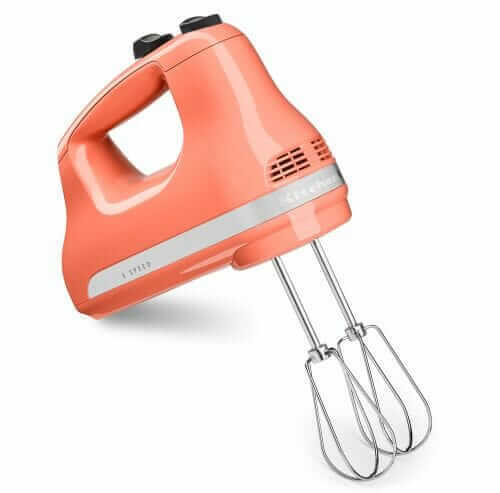 This luscious, delectable coral Kitchen-Aid has rocketed to #1 on my wishlist!! You know how some you become utterly obsessed with a color like you just cannot get enough of it?!?! 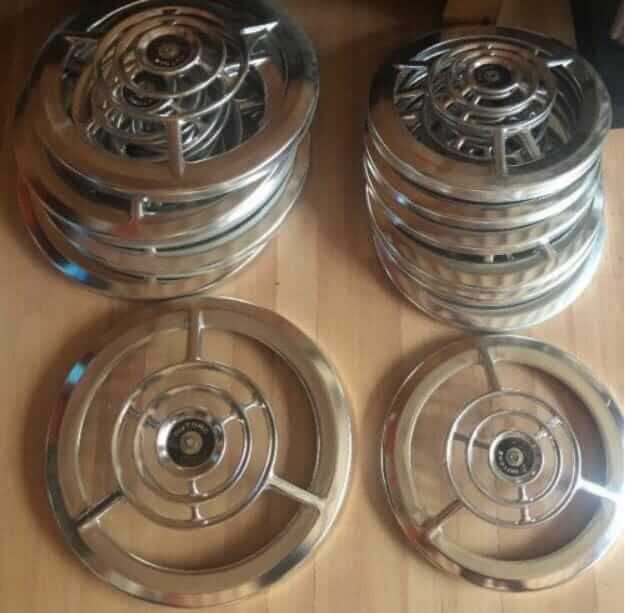 This will be mine. I could eat it up! 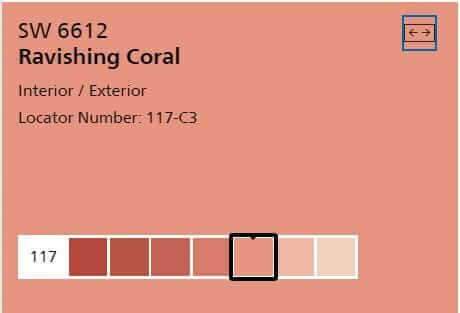 BTW…love your complementary color choices for coral. I like mine with a good splash of mint and a touch of gold.